Note: Woops how forgetful of me. 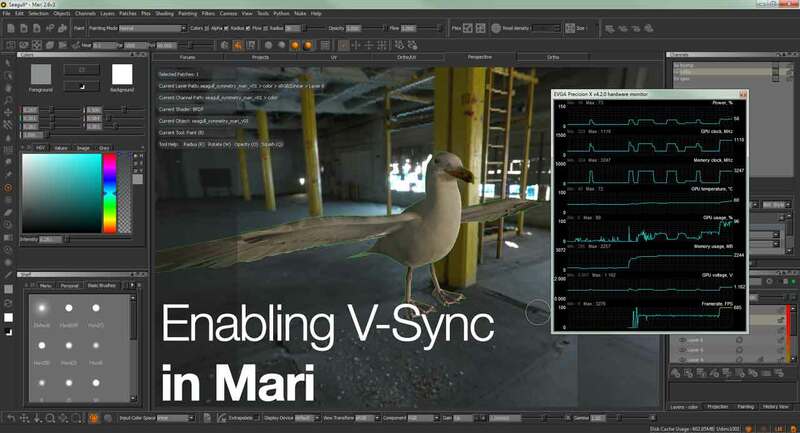 This guide is based on Mari v2.6 and running on Windows platform. Your settings might look different if you’re on older version of Mari. 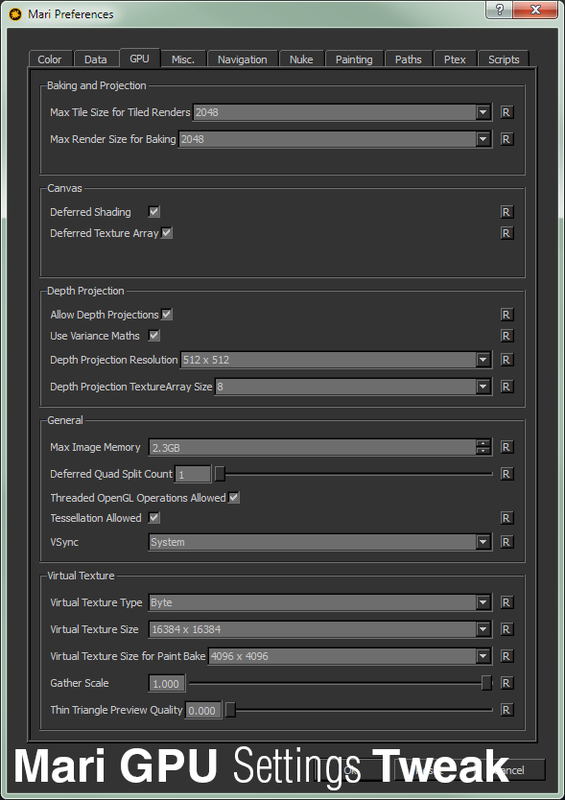 I’ve been using Mari for texture painting onto 3D model and it is great program once you familiarise with the UI. For some reason, the default settings can be pretty conservative and this can lead to odd moments where the texture will appear pixelated on the viewport or the FPS start dropping due to complex shaders and model. I’m using a Geforce GTX 780 3GB so this will be my baseline when explaining the settings. You can always knock it down lower than my recommended values to get a more responsive workflow.